Dancing Senator has reclaimed his stolen mandate! 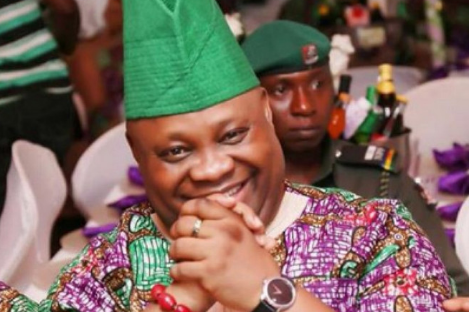 The Election Petition Tribunal for the governorship poll held in Osun State in 2018 has declared Senator Ademola Adeleke winner of the election. 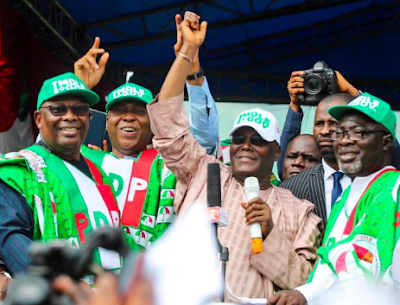 The three-man panel said during its ruling in Abuja on Friday afternoon that the rerun election that held on September 27, which most Nigerians condemned, was truly illegal. The tribunal therefore deducted the votes scored by the APC candidate Gboyega Oyetola at the rerun after it declared that they were illegal votes. 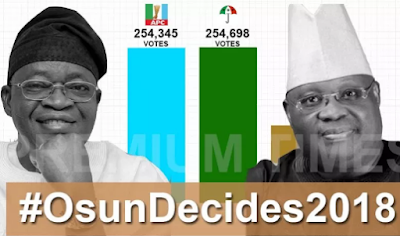 The tribunal said the Dancing Senator, Adeleke, won the election at the first ballot on September 22, and the rerun that INEC devised to reach a final conclusion a week later was illegal. Consequently, Senator Ademola Adeleke of the PDP is the authentic governor of the State of Osun.